A challenge to a Will can be the most divisive event for a family and its legacy may linger on to impact future generations. The legal and court process involved in inheritance disputes divides families. These disputes can be extremely draining on time, money, family business and all relationships. Generally it is not where any family want to resolve a Will. A different approach would be to contact Succession Ireland. Succession Ireland facilitates the conversation amongst executors and beneficiaries. 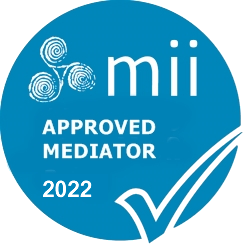 The mediation process allows parties with a grievance in relation to a Will to explore multiple options in a facilitative rather than adversarial environment. Mediation can be that safe place where family members can speak to each other about the impact litigation may have on the family. It is also possible to ask a court to pause court proceedings with a view to resolving an inheritance/probate dispute by mediation with Succession Ireland. Succession Ireland can be contacted at any point in the process. Succession Ireland offers a facilitative process in being proactive if you own assets someday you will die and hopefully your best intentions as instructed in your Will, will be appreciated by your loved ones. We can facilitate from beginning when somebody wishes to engage in estate and succession planning. If considering writing or amending a Will, writing a new and updated Will and would like to discuss best options in advance of going to the legal profession to write a Will. This discussion can be facilitated in an inclusive, safe and respectful environment. In confidence at all times.